It’s been more than two hours since all connectivity went down. Electricity is on and I am getting news from NPR via my old boom box radio. It’s just regular stories- dogs, schools, Glen Campbell tributes, local politics. No klaxons or announcers urging everyone to be calm. So the North Korean bombing has not started. After cleaning up from lunch I sat down to the laptop to get back to work; I have a lot of prep to do for some workshops I am leading next week. But every web site I try to reach I get “resolving host” in the status bar. 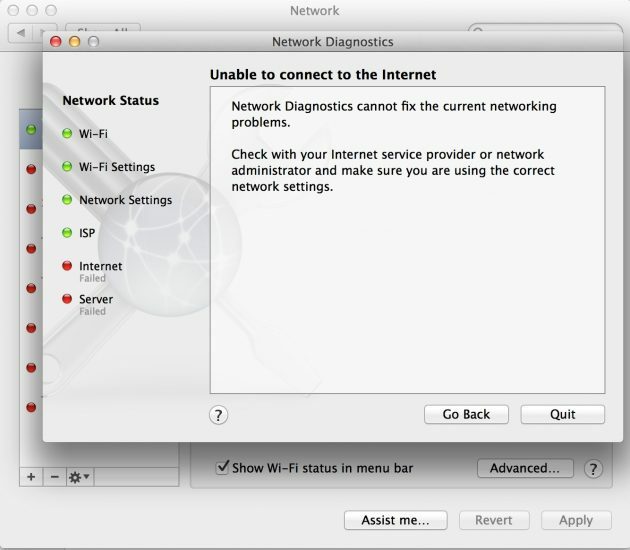 This has happened a bit more frequently lately, usually cleared by running Network Diagnostics. I did a check twice morning and it cleared. After fixing the problem by hand unplugging the cable modem, once again I thought of tweeting how ironic that this is my most regular task in networking. But after lunch, doing the cable modem unplug dance three times had no effect. The cable modem was not seeing the internet. Then I looked at my iPhone. In more than five years of having Verizon service I have never ever seen “No Service” at my home. Never. Both cable and cell service out? It strikes me how dependent I am on those channels. I won’t panic. The news on the radio still sounds normal. Guam is ok.
My plan now is to go 3 miles down the hill to Pine, the slightly bigger town that has a bit better connectivity. I grab my laptop thinking maybe I will work in the pavilion next to the Senior Center. Maybe it’s just the local tower. But… maybe, maybe there is something else going on, so just in case I stop at Uncle Tom’s to top off the gas in the truck. I have no reason to stay in Pine, and shrugging, I aim to go another 15 miles to the bigger town, Payson. If Verizon service is out there, then there is a bigger problem. I will go to the Verizon store to see if they have any information on a regional outage. While driving I glance at the phone several times, seeing no change as I hit the edge of town, going past Home Depot. “No Service”. About 2 blocks from Verizon, I decide to just flick the Cellular setting on and off. Woah, the the signal flashes to one bar LTE, then it quickly goes to no bars, and back to “No Service”. I get 2 text messages. I can’t reply. As expected there are a number of cars in the lot of the Verizon Store. People are outside, staring at their phones talking to each other in that mode that looks like a road side wreck. I can sense I am not the only one with this problem. The clerks there say they have no information, they too are cut off, as is Suddenlink (my cable company) and CenturyLink (another). I ask if this has ever happened, because I’ve never seen it. One guy who works there says, “Sure, it happened a year and a half ago. ” With hands forming air quotes, he continues, “They called it a ‘squirrel incident’.” He said it was really a backhoe digging in the wrong place, that all the fiber optic cables for the various services that deliver in thie region are actually in the same trench, so if a backhoe accidentally takes out one, they all go. That seems not a great network. Single point of failure is not cool. There’s not much I can do. For moments I get maybe 2 bars of 3G signal, that in less than a minute it cycles to 1x and… “No Service” In those moments I try to text people who expect to hear from me. When I look later they all report “Not Sent”. Only while driving back, when 3G sat there for maybe 2 minutes, I managed to get three messages to a friend via WhatsApp. I still sit in the land of “No Service”. I check the phone a ridiculous number of times. If I were Sherri Turkle I might welcome this time as a chance to lose myself in a book or listening to classical music in my Victrola. How problematic is it that all my work and my sociality depends on this thing that has been absent now… four hours? I cannot publish this blog post, but I am writing it in a text editor, and have created the images I will use with it. I do have my laptop set up so I can run WordPress locally (without a web service, Varying Varying Vagrants) and I could do some screenshots and writing for the WordPress workshops coming up. I could work. So I will go outside and do some physical work, musing on this network dependency. Yes, I can function and live in “No Service”. I decide to core and peel all the apples (2 steel bowls worth) I picked from my tree because of a large limb that snapped. I mix them as apple pie filling, and am able to freeze 4 bags worth (4 future pies). I bag the scraps to give to my neighbor for his chickens. Chickens love apple cores and peels. I might as well take the dog for a walk. I’ve not seen my friend Eric in a while, maybe he wants to do the Cove Ranch loop. Normally I would text message him, but today I just walk over and knock on his door. 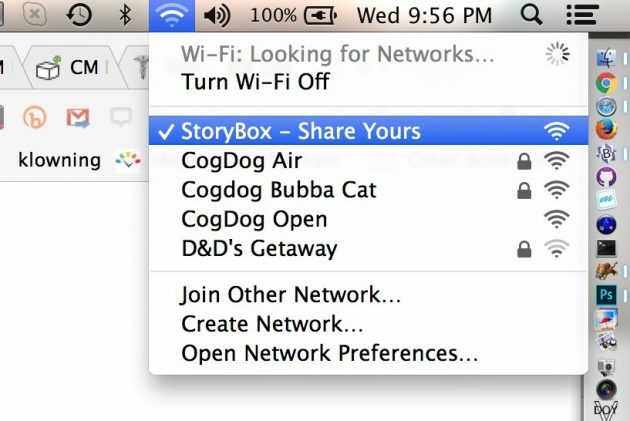 No, he does not have a secret internet supply (darn!). He said he decided to back up all his files in case of nuclear war (I struggle to follow the logic). He’s not up for walking. On the way towards the Cove, I decided instead to go home, get the truck, and drive north, up on top of the Rim. The cell towers are there, but I think I should at least go as far as Clint’s Well (15 miles) which maybe has a different cell signal source. Or maybe there is a pay phone outside of the cafe. I cannot remember the last time I used a phone both to make a call. I am guessing I could charge a call to me credit card? But I do not have to get as far. Once atop the rim, I see an LTE signal, 1 or 2 bars, but it’s signal. I pull over, and it starts to fade… 3G…. 1x (I am still not sure what 1x us except like slow dialup speed). I’m able to to get a few messages out but it’s spotty. 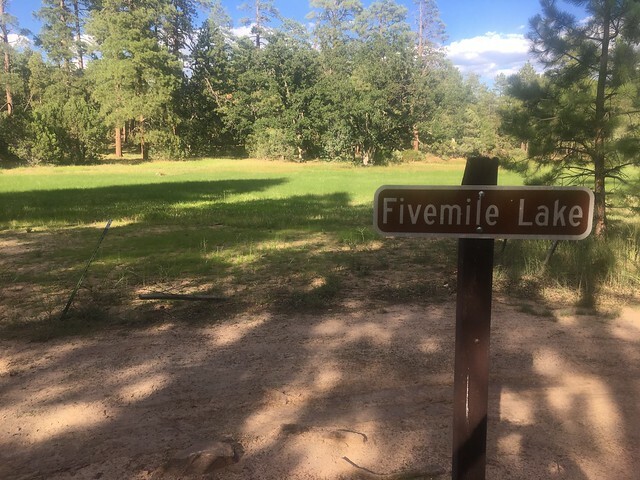 I decided instead to take a walk down the jeep trail at a place called “Five Mile Lake” (which is a large pond). I grill a steak for dinner, saute some mushrooms and onions, and make mashed potatoes. While I had signal I got some RSS Feeds updated in my Digg Reader App and some tweets– those I am able to read while still offline. I’ve never seen cell and internet service both out this long. And I’m doubtful I will see any tonight. There’s not way I can think of to get information. I am not sure if there is a regular phone in Strawberry or Pine. It seems appropriate now to bust out my StoryBox / PirateBox to see if I can get it to work. When I tried a month ago I did not even see it’s network, but tonight I did! But I could not connect to it on any device. 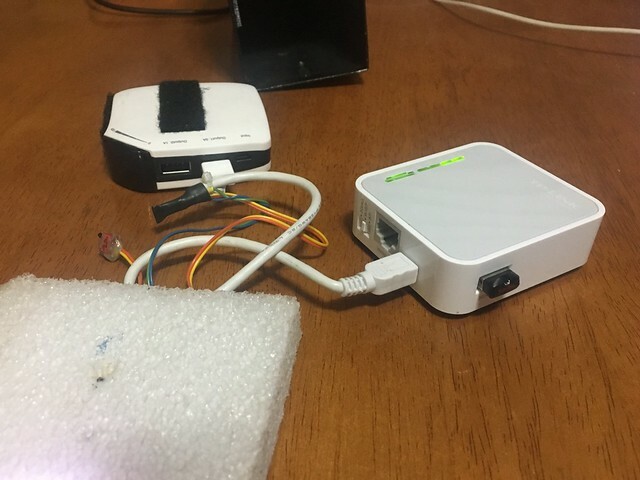 Something it still wrong in the way it is setting up it’s local network. And it’s not like can Google an answer, eh? I’m editing and captioning my photos when my phone lights up with a notification. At about 11 hours in, the networks are back on. I found no solace in this offline time. It was a but surreal to consider I had no means of communicating outward. Do you remember that idea about the design of the internet being distributed to be able to survive an attack? The distribution is unevenly distributed. Actually, according to the Payson Roundup it was a construction goof. Featured Image: Screenshot of my phone today, with Photoshop mods to add the mystery red dot notifications. You Gotta Sing Your Own Version "Taking Care of Archives"